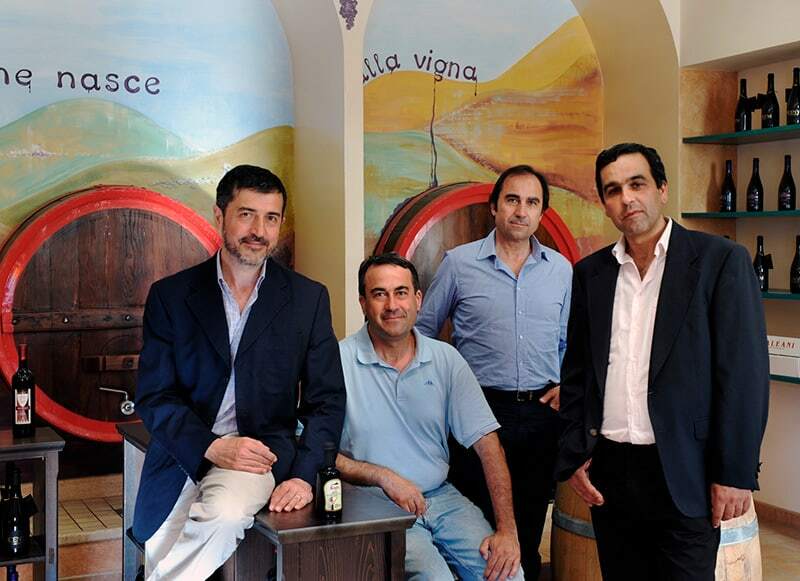 he Baleani brothers , Fabrizio, Gianfranco and Alberto, along with their friend Maurizio Crispini, are the founders and current business partners of the Terre di San Ginesio winery. The winery was born of the passion and experience of the Baleani family who, for generations have crafted quality wines which express the very soul of their region. Fabrizio Baleani, an agronomist and wine specialist, with about thirty years of experience, takes personal care of the vineyards and supervises the entire wine-making process through all phases of its production. 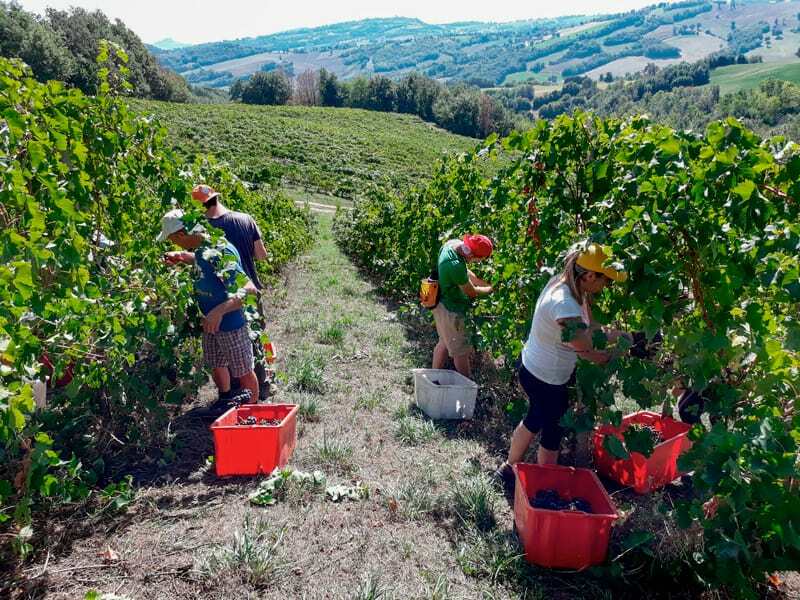 an Ginesio and Ripe San Ginesio are two beautiful medieval villages located in the hills between the Sibillini Mountains and the Adriatic Sea; an ideal location for vine cultivation. Thanks to its natural beauty and pleasing climate, as well as its important culture of both art and history, it is a perfect place to come for a restorative holiday for both the body and mind. We grow approximately 15 hectares of vines and our motto is "Quality born of the vineyard." We firmly believe that the production of excellent wines must begin with the use of excellent grapes. For this reason, we apply the same high standards of quality and professionalism to the tending of the vines, as we do in the winery itself. he winery is situated within the Fiastrella valley, in the territory of Ripe San Ginesio, in the Marche region, half an hour's drive from the sea and at the gates of the Sibillini Mountains National Park. It is located in-between two very important historical sites: the archaeological park of the Roman colony of Urbs Salvia (the current town of Urbisaglia) and the medieval town of San Ginesio, with its well- preserved ancient buildings and 14th century sandstone walls. 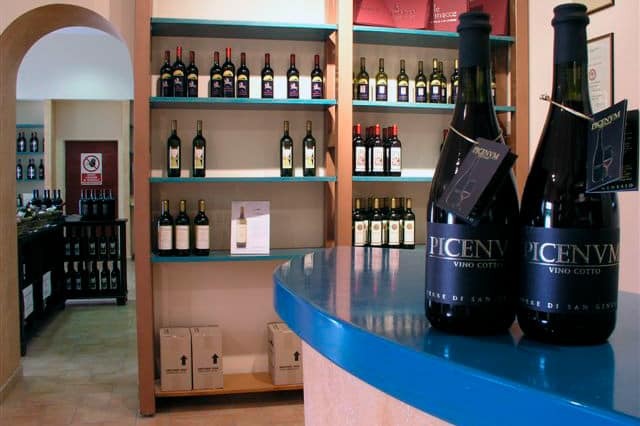 Inside the main building of the winery we have our own shop where we sell our wines and other products typical of our region (oil, stuffed olives in olive oil, pasta, biscuits and other organic food products). We also provide guided wine tastings of our wines accompanied by these regional products. We can accommodate up to 100 visitors at a time, with seating provided for a maximum of 20.